This simple Bottega Veneta clutch is the perfect example of the brand’s classic aesthetic. 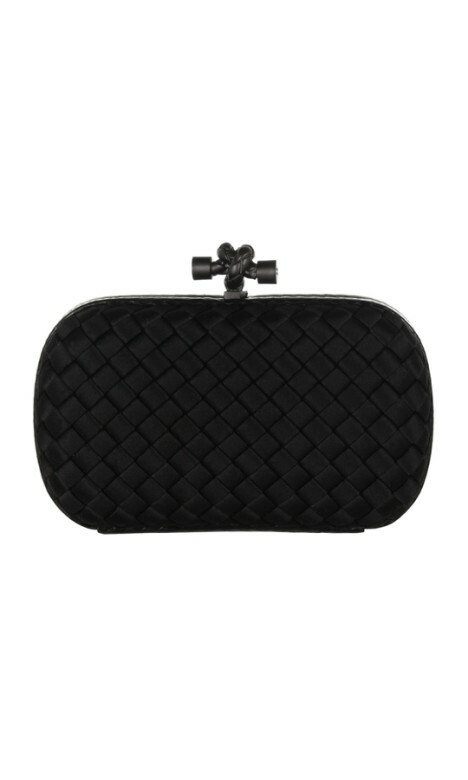 Showcasing the label’s woven satin craftsmanship with a subtle leather trim, this compact clutch is simple yet striking. Wear it with a flirty daytime playsuit, a stunning jumpsuit, or a gorgeous mini dress for a look that is both feminine and endlessly classic. This is the perfect clutch to hire for a day out at the races! Rent some simple silver accessories for an understated look, and to keep the focus on you with your clutch as a compliment! For more race day inspiration, check out our 'The Races Dress Hire' customer story! Founded in 1966, Bottega Veneta is an Italian luxury goods house famous for its quality leather bags, belts and shoes. From its foundations, the label has created artisanal leather goods with their signature leather-weaving style, and gained acclaim for their no-logo design. Over time, Bottega Veneta has developed an aesthetic that is timeless, luxurious and classic. Favoured by celebrities like Nicole Kidman, Scarlett Johansson and Sarah Jessica Parker, the label continues to maintain its dedication to quality craftsmanship and understated design.